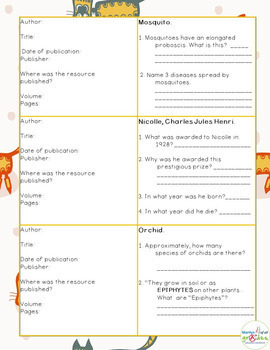 Project activities and an introduction to bibliographies. 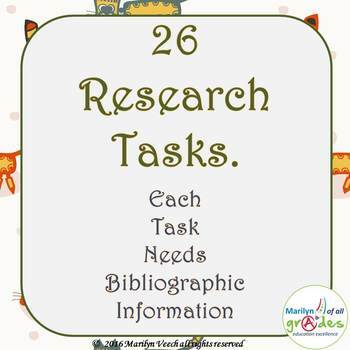 There are 9 pages of research topics and bibliographic details, and answers. The research is based on the letters of the alphabet, so the sheets can be distributed to the students as a research project over time. Alternatively, the sheets can be cut into 26 individual smaller projects, I have found in the past that this is a good activity for students who finish work quickly or are motivated to do more work. When the questions have been answered, the students have to write the book details on the sheet as well. This is preparation for writing bibliographies.